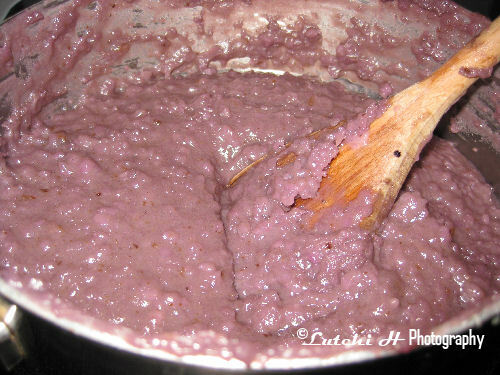 I made this ubeng halaya last two weeks ago using the frozen ube in a bag that you can buy in any Asian stores. I made it mainly for toppings and stuffing. All I did was mixed all the ingredients and cook to medium heat, stirring constantly until thicken and cook. I can’t really tell you exactly the time of cooking because I left the kitchen while it still cooking and forgot that I was cooking something “bad me”. 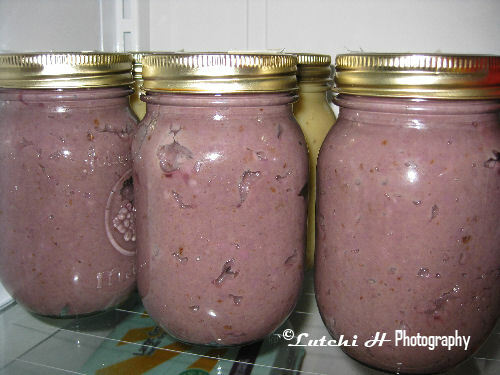 I canned the ube halaya for long shelf life using a pint canning jar then boiled to boiling water for around an hour. I will be using the ube for hopia, buchi and other goodies. 0 Comments On "Ubeng Halaya"